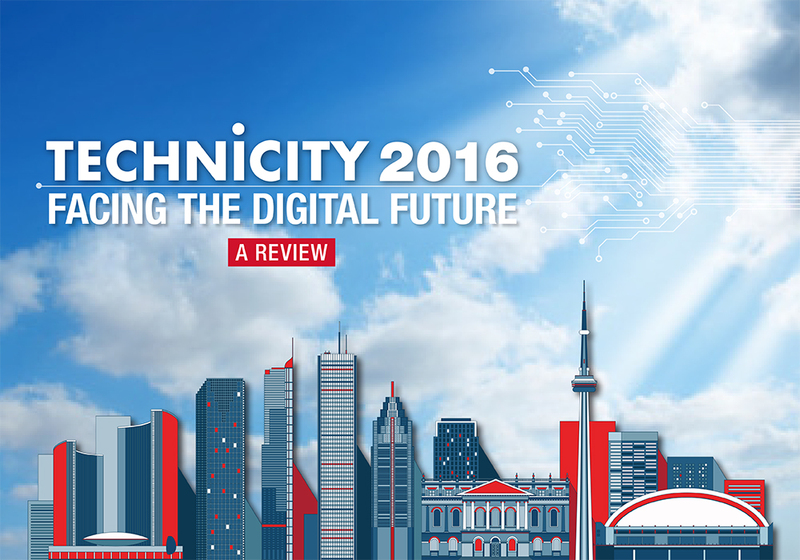 ITWC is proud to present a report on Technicity 2016. This year we had Mayor Tory in attendance and we discussed facing the digital future of our city. ArticleWill autonomous vehicles hit the streets in our lifetime? A collection of articles highlighting Technicity's activity over the past year. TORONTO – Creating a digital working group was just the beginning. If Toronto – and other Canadian cities, including Calgary and Vancouver, both of which joined Ontario’s capital on this year’s list of the world’s most liveable cities, according to the Economist – wants to thrive in the 21st century, it needs to embrace digital transformation, Mayor John Tory told a crowd made up of city staff and tech industry veterans at Technicity, a Dec. 7 event co-sponsored by IT World Canada. 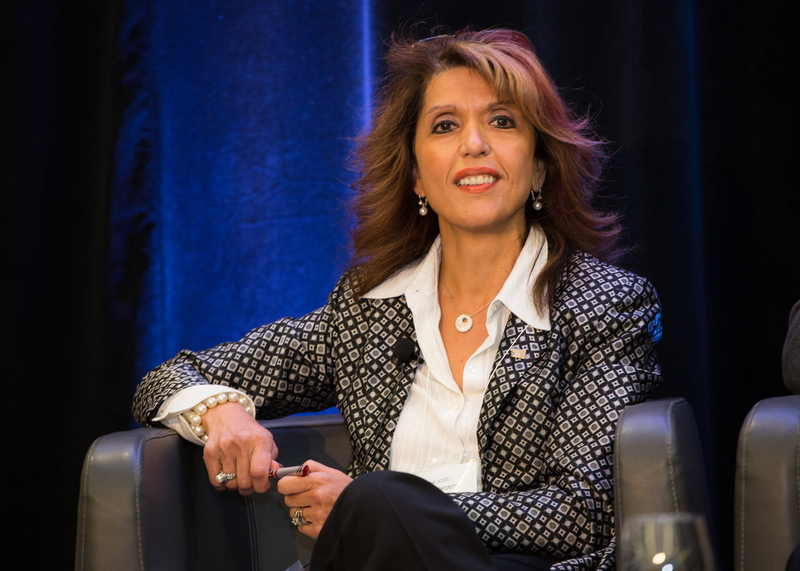 During a separate presentation, Toronto chief corporate officer Josie Scioli mentioned that calling the city’s 311 service costs taxpayers about $18 per transaction, while the same transaction through its 311 website is just $2, but Tory wasn’t simply counting dollars and cents: while praising the city’s financial services and life sciences industries for embracing disruptive technologies, he encouraged the audience to imagine what could happen if they did not. Fortunately, he emphasized, neither industry is facing that problem because – partly thanks to government support – they have made the leap. Now it’s up to other industries – and cities, including Toronto – to join them. “We’re not doing as well as we need to,” Tory admitted, though he gave his speech a day after appointing councillor Michelle Holland as Toronto’s official Advocate for the Innovation Economy. As an example of the type of leadership he aspired to, Tory told a story about his former boss, Rogers Communications Inc. founder Ted Rogers Jr., whom he revealed had poor eyesight. Rogers, Tory said, had a knack for predicting technological upheavals years or even decades before they happened, and often encountered resistance among his executive team – including Tory, who served as president and CEO of the company’s Rogers Media division between 1995 and 1999 – as a result. “But he pushed us to do it, and sometimes it caused chaos, as those of you who have been Rogers customers will know, because… half the time it was the introduction of some new product that wasn’t ready for primetime,” Tory said. But, he pointed out, Rogers was ultimately right – there’s a reason the company is now the largest mobile service provider in Canada. For an example of the goodwill a single well-executed digital transformation project can generate, Tory shared how the city went about improving its famously atrocious program registration system. The result, as Tory admitted and the Toronto Star was fond of pointing out, was a system that left countless parents frustrated, and Tory, who as recently as March told the Star the city’s registration infrastructure was being held together with “chewing gum and chicken wire,” vowed to do something about it. “It’s 2015 and we were keeping waiting lists on paper,” he said. Unsurprisingly, the city’s IT staff said that nobody had been given the green light to invest in new infrastructure, Tory said, and while plans to do so were finally set in motion, in the meantime it was decided that city staff should strive to fix its current system to the best of its ability, recruiting startup veterans and even representatives from OCAD University to redesign the registration platform’s website, increase its server capacity, inform residents exactly what they needed to do to register, and divide a one-day process in half, which reduced the number of registrants logging in at one time. The result? This week, 81 per cent of residents signing up reported that the system had been greatly improved, Tory said, while the platform itself completed 26 per cent more registrations during the first hour than last year. Meanwhile, the improvements the city has made to the old platform has resulted in people people telling Tory and other city staff something they almost never hear: Praise. “To me… the decision to move forward with a new system, the decision to improve the old system pending procurement, and the execution of the improvements, is a model of how we have to do business at city hall, and show ourselves to be leaders,” Tory said. Finally, for a simple illustration of what the city has to gain by embracing digital transformation, Tory shared an anecdote from his visit to Israel, which has become a world leader in the technology and life sciences industries, with members of Toronto’s tech sector last month. Without digital ambassadors, in both the city and its private sector, Tory said, opportunities like Israel will continue to elude Toronto’s grasp. 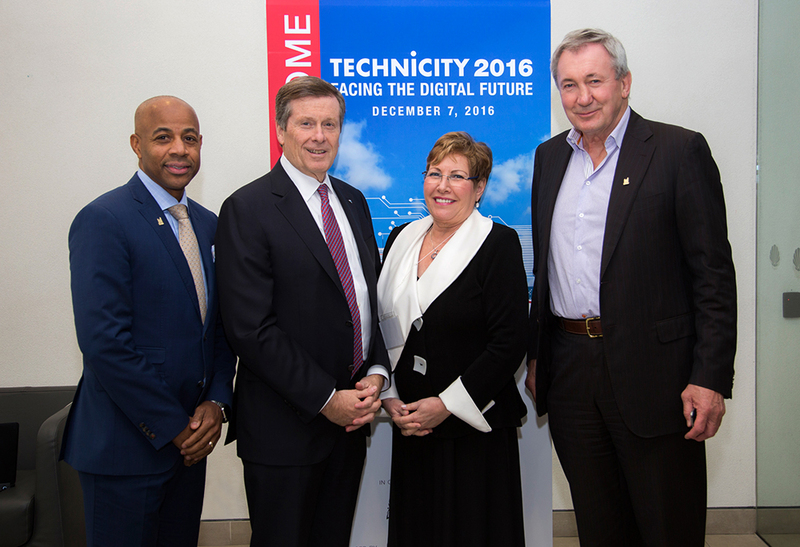 ITWC partnered with the City of Toronto to co-host Technicity on Dec. 7, 2016. The day brought together leadership within the organization of the city, Toronto’s technology leaders, and influencers from elsewhere to discuss both the opportunity and the challenges brought by the Internet of Things to municipalities. 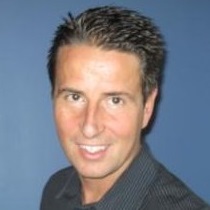 We’ll be featuring a series of interviews we conducted that day on ITBusiness.ca. After delivering a speech about the City of Toronto’s efforts to transform itself into a tech-driven “smart city,” Mayor John Tory took a moment to chat with ITWC editorial director Brian Jackson about how his own city is progressing in its digital transformation, in addition to highlighting other examples that we can learn from around the world. Technology can offer municipal governments a multitude of opportunities to improve city services, but expectations around integrating it into existing infrastructure on current budgets poses numerous challenges. Speaking at Technicity on Dec. 7 in Toronto, Michael Williams, general manager of economic development and culture at the City of Toronto, said that the biggest hurdle to overcome in regards to implementing technology in the public sector are finances – or lack thereof. Also speaking on the panel, Rob Meikle, the City of Toronto’s CIO, added that execution from a fiscal and investment standpoint is a challenge. As a result, he said, the city needs to make hard decisions on prioritizing what technological investments it can actually afford to implement every year. “The reality is that the appetite [for technological improvements] is greater than funding will permit. This expectation is a challenge. We go through all our tech investments and know we can’t do it all,” he told an audience made up of city staff and tech industry veterans. Beyond the fiscal challenges, Meikle said that Toronto’s municipal government is working on modernizing policies so that the city can be more responsive to change: one recent example is appointing a city councillor as Advocate for the Innovation Economy, a new position that will explore opportunities for the city to incorporate tech into its day-to-day operations. The position is only one step towards aligning city services with the excellence businesses and citizens are demanding, but remains a “strong signal” that digital transformation is a priority for the mayor and city council, Meikle told the crowd. Making sure the city has the physical infrastructure to leap over digital divides and support advanced technological changes, such as ensuring all areas of the city have proper internet, for example, is also key, Williams added. Another important step Williams described is ensuring Toronto and its mayor continue to promote the region’s technology elsewhere. Williams stressed that it is fundamental for a city to bring in new dollars in from outside the southern Ontario region, and that he would like to see more global trips from Mayor John Tory, such as his visit to Israel in November, to foster the city and its talent, resources and businesses. However, moderator Jim Love, CIO of IT World Canada, brought up the fact that there is an ongoing technical skills shortage in Canada, and both panelists agreed it was a matter that needs to be dealt with quickly. “Talent management is a priority for me,” Meikle stated, adding that the topic is on every single one of his biweekly leadership meeting agendas. He pointed to several reasons why Canada is undergoing such a shortage, the top one being the fact that talent is needed by both the public and private sectors, meaning they are competing for talent within the same small pool. Meikle told the crowd that he thinks the public sector needs to do a better job at attracting talent, and pointed to the city’s partnerships with local schools as an example. Starting young and finding people with the common drive of wanting to make a difference within their own city is key, he said. However, more important than talent is the ability to collaborate and work as a team. “We operate under the principle that success is a byproduct of a high performing team and we focus a lot on finding people that are the right fit. It’s a competitive landscape, yes, but collaborative attitudes and behaviours still come first, and technical skills second. Since we exist in such a political web, attracting the right people for the right reasons is important,” Meikle said. But despite all the benefits of technology, Williams pointed out that it can bring about negative aspects as well, such as job loss as a result of automation. “That didn’t happen, but we’re entering a time where there’s a serious probability that the technologies being created today will leave significant groups of people unemployed,” he continued. Williams used self-driving cars as an example, saying that since they are touted as being safer than traditional human-driven vehicles, fewer accidents could lead to fewer insurance agents. Self-driving transport trucks mean fewer truck drivers, he added, and more financial technologies could mean less bankers. “Technology can make our lives much easier and efficient, and save time and money, but it can also lead to job loss,” he said. “We need to figure out how to manage that quickly because it’s important. A government needs to look at both sides of the impact it can have,” Williams concluded. If Canada’s urban centres want to become leaders in digital transformation, they need to agree on a set of data standards, according to a leading University of Toronto engineer, while making a concerted effort to identify both new and existing challenges along the way. Giving the keynote address at Technicity, a Dec. 7 event co-sponsored by IT World Canada, U of T urban systems engineering professor Mark Fox discussed with both tech industry veterans and City of Toronto staff how they could best use big data and other types of analytics to digitally transform their city. In science, he said, the goal is to reduce complexity through design, while cities contain so many elements – education, public safety, water and sewage, recreation – that although each needs to be considered, it’s impossible to fully incorporate them all. During his presentation Fox called the challenges facing digital transformation “potholes” and “sinkholes”: the former, he said, are problems that can be fixed easily enough, while the latter require completely rethinking how the infrastructure is created in the first place. Asked for examples, Fox told ITBusiness.ca that data sparseness – recognition that the data collected is only a small part of what’s needed – is a pothole, while data standards – “coming up with attributes and values that are inter-operable not only within a city, but across cities” – represent a sinkhole. In theory, planners know the causes behind data sparseness and how to correct them – for example, the existing data collected by many City of Toronto departments often remains with whatever department conducted the research in the first place and becomes inaccessible to everyone else, the result not of privacy concerns but lack of planning. “The reality is the data that we collect is only a very small subset of what we need, and I don’t know to what extent when we start anything we really ask the question: What do we need?” Fox said during the presentation. A similar lack of planning led Ontario mass transit authority Metrolinx to neglect the opportunity to use its recently-installed Presto machines to collect exit data, he noted. The problems caused by these potholes can often go back years, he said – for example, Toronto first announced that it would begin collecting traffic sensor data after installing the first automated traffic lights in 1967 – and has made none of it readily available since. But even the oldest pothole pales in comparison to the inherent problems behind what Fox called called “behavioural characteristics” – the systems that city planners build to actually collect and deliver data. For example, during his presentation Fox showed the audience three official maps of Toronto that government officials use for data collection purposes – the city’s neighbourhood map, followed by the Toronto Police Service’s district map, followed by the federal government’s census division map – none of which shared any boundaries, and therefore measurable data. Now imagine trying to share the data collected between multiple cities, Fox said, emphasizing again that inter-operability is impossible without data standards. And so, for the second half of his presentation Fox laid out four behavioural guidelines that researchers should keep in mind when establishing standards for digital transformation. Simply collecting and releasing data is not a worthy goal in and of itself, Fox said: there needs to be a reason for choosing which data to collect and release. Making those choices requires awareness – knowing what to expect from a given data point, its limits, whether deviations are significant, and which actions to take when deviations occur. Digital transformation standards require responsiveness, Fox said: Being able to flexibly respond to events with a focus on outcomes and not the methods behind them. Teleology, by replacing a set process with tangible goals. Appoint a Digital Ombud – someone the system is accountable to. When it comes to potholes, Fox acknowledged there is no magic bullet. As for sinkholes, Fox said he hopes that future software vendors hired by Toronto – or any city – meet his four guidelines before either party signs a contract. “These are the elements that we need to build into our cities’ enterprise software systems,” he said. After moderating a panel on open data that included representatives from both the public and private sector, Equinix Canada’s Andrew Eppich took a moment to discuss why he believes the two sides need to collaborate more often, and the challenges they face along the way, with ITWC communication and marketing director Steve Proctor. Both public and private organizations may face some costs and challenges in putting the customer experience at the centre of their efforts, but not doing so is likely an even greater risk, a panel of executives agreed on Wednesday. In a world where smartphone manufacturers like Apple and Samsung have redefined everyone’s expectations of digital experience and Amazon or Google seem able to dominate any new market at a whim, there’s a pressure to push down the digital transformation path. Speaking at Technicity, an event co-hosted by IT World Canada and the City of Toronto, chief executives of a condo empire, a hospital, a technology vendor, and the City of Toronto recognized that pressure. Josie Scioli says the City of Toronto has a goal to do more online. One example of the cost-saving potential Scioli pointed to is the 311 service. Available as both a phone service or as a web portal, the city’s information service costs much more when people choose to dial those three digits. A phone call costs about $18 per transaction, but a web transaction is just $2, she says. Also, the City has a goal of reducing from its current 41 service counters to just five, offloading the transactions to online. At condo builder Tridel Corp., CIO Ted Maulucci saw an opportunity to save his customers money on their Internet bills. Rather than letting each resident choose from all the consumer Internet services available, Tridel has built its last 10 buildings to be utility Internet-based. That’s resulted in faster speeds provided at lower prices to all of the residents in each building. Maulucci says that he’s realized that his customers didn’t mind losing the choice, because they view the Internet as a commodity like power or water. They just want it to work and be affordable. Peter Bak was able to cut costs thanks to a robotics implementation. The impetus for digital transformation at Humber River Hospital was safety, quality and again, driving cost savings, says Peter Bak, the CIO of the hospital. When the hospital expanded into a bigger space, Bak was able to find some of those cost savings thanks to a robotics implementation that avoided hiring new staff. Typically porters are tasked with moving things around a hospital – from patients and supplies to linens, foods and waste. It was an upfront investment of $10 million, but with an estimated savings of $2.8 million per year, the ROI is definitely there, Bak says. In the retail sector, Antoine Azar, co-founder of ThirdShelf, observes that independent operators are being threatened by technology-driven giants. To help smaller retailers compete with that, ThirdShelf offers a software as a service (SaaS) model marketing platform and inventory management service. But more than the software, Azar says his company helps small firms understand the value of each customer. “In this new economy when you sell software for $10 a month or $100 a month, I care about your success,” he says. As more of the focus for building consumer experience shifts to digital, Toronto’s Scioli offered a reminder that not everyone is connected and tech-savvy in this world yet. The city plans to offer help to those who don’t have their own computer by providing terminals, perhaps in places like public libraries, with nearby advisors ready to help, he said. 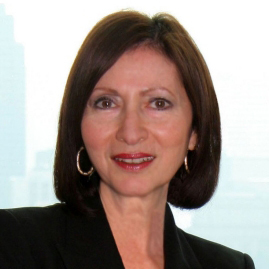 Ann Cavoukian, who served as Ontario’s Information and Privacy Commissioner from 1997 until 2014 and now works for Ryerson University’s Privacy and Big Data Institute, believes that focusing on privacy and data security will not constrain a company’s growth. Former Ontario privacy commissioner Ann Cavoukian believes it’s by ignoring data privacy that companies limit their own growth. “It’s a threat to not address security and privacy,” Cavoukian says, citing recent security incidents involving Madison Square Garden and the U.S. Navy as two examples of the many “remarkable, massive data breaches” that occur every day. Since leaving her position as Ontario’s security watchdog, Cavoukian has dedicated much of her time to advocating for what she calls a “non-zero-sum” approach to data privacy, emphasizing that enterprises and other data-dependent organizations should not develop security solutions by weighing one interest against another – say, privacy versus data utility – but by maximizing both, a process she calls security by design. By embedding security and privacy into a project’s design stage – whether said project involves coding, building a system, or developing an operational practice – it becomes an essential feature rather than an afterthought, one that can develop along with the rest of your work, Cavoukian says. Naturally, she adds, this idea has met with resistance in certain circles. To a great extent Jason Doel, co-founder and COO of IT risk management firm Tracker Networks Inc., echoes Cavoukian, but working in the risk management sphere has helped him understand why many companies – mid-sized businesses especially, along with some enterprises – are so often reluctant to implement the changes needed to shield their companies from both privacy advocates and cyberattacks in the first place. Tracker Networks executive vice-president and COO Jason Doel thinks security is more of a business problem than tech problem – and that it should restrain certain types of growth. Framing security as a technical problem, he says, leads many businesses to evaluate it as a pass/fail proposition – that is, the company is either secure or it’s not – and ensuring the company’s security simply involves building virtual walls. Instead, he says, business leaders from the CEO and board members on down should strive to identify the risks their company faces – and what they’re prepared to accept – before repositioning security as part of their enterprise risk management scheme or, at the very least, making sure the two departments are aligned. 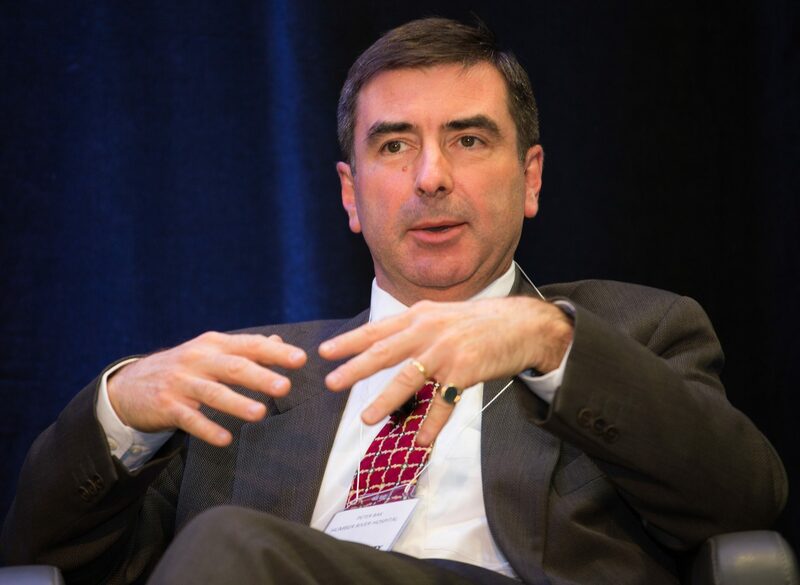 That advice might be anathema to many Canadian companies, but the largest European and American multinational and financial services firms have already made the transition, he says, acknowledging that many midsize companies are still working through this realization, which in many cases requires translating technical concepts into business terms that the C-suite can understand. Once you’ve identified your crown jewels, he says, you can also identify the systems hosting your most valuable data, along with the risks facing them, and prepare accordingly. More importantly, as Ryerson’s Cavoukian notes, embedding privacy-enhancing features such as data encryption into their code can help companies avoid headline-grabbing breaches in the first place. After all, he notes, IoT has already formed the basis of many high-profile attacks – and without an industry framework in place, it’s likely to get worse before anyone figures out what to do about it. Will autonomous vehicles hit the streets in our lifetime? While driverless vehicles were once a vision that could only exist in science fiction, you’ve likely heard plenty of buzz about this high-tech concept hitting the streets via the Google car and Tesla’s autopilot. However, experts in Toronto aren’t so sure that we’ll be seeing any driverless cars hitting city streets any time soon. Ryan Lanyon, manager of street furniture management and chair of autonomous vehicle working group at the City of Toronto, says they’re asking plenty of questions about the impact of the technology. The City will be doing thorough research between 2017 and 2019 via their working group, which will partner with universities and industry to examine the potential effects of driverless cars and report their findings back to city council. He did confirm that the City of Toronto is the first municipality in North America to hire a full-time staff member dedicated to automation preparedness. Alex Miller, president of Esri Canada, a geographic information system (GIS) firm that uses visual data mapping to facilitate decisions for cities and provinces across Canada, doesn’t believe we’ll be riding to work into downtown Toronto via a driverless car in the next few years. Instead, like many other modern-day safety features in our vehicles, he says driverless cars will evolve over time as cities change and evolve. Like the anti-lock braking system, which was first introduced around 40 years ago, Miller says additional high-tech features will roll out over time that will eventually put the responsibility for most of the driving on the vehicle itself rather than the human “driver.” He foresees the industry rolling out accident avoidance features, such as automatically following the car in front of at a safe distance. But before autonomous cars make drivers obsolete, Miller believes cities have plenty of work ahead of them when it comes to infrastructure. He used the analogy of a human touching a hot surface. The brain immediately responds and signals that you should remove your hand from the hot surface. But cities, he says, are more like reptiles. They’re a collection of neurons and systems that don’t necessarily communicate with one another (the water department may not communicate with the electric company, for example). Therefore, reactions to major happenings like road construction, downed power lines, or other such daily issues are slow and cumbersome. He said this kind of knowledge a place like Toronto needs to support autonomous vehicles is a combination of precision mapping and plenty of sensors to transmit live information. Only then will smart cities have the infrastructure necessary to support driverless cars. Zahra Rajani, will lead a panel session titled “Drones, Driverless Cars and IoT” during the event on Dec. 7. Technicity is a one-day conference produced by IT World Canada that explores how the City of Toronto, local businesses and the IT industry are rethinking service delivery, operations and citizen engagement around the priority areas of transit, housing, anti-poverty and youth.